What Really is Happening in Kenya? From all accounts Kenya is caught up in a political crisis resulting from what is perceived to be widespread fraud in the elections of December 27, 2007. The ruling Party of National Unity (PNU) was declared winner and its leader Mwai Kibaki , a Kikuyu reinstalled as President, in the face of calls for a recount by the opposition Orange Democratic Movement (ODM) and its leader Raila Odinga, a Luo. Claims of election fraud by the opposition are supported by international observers as well as Kenya’s National Commission on Human Rights which recently listed election irregularities. The violence that has been unleashed on the country as a result of the opposition’s refusal to return to “business as usual” has left approximately 800 people dead and over 250,000 displaced. More than 6,000 are said to have fled to Uganda. The police and army have used every tool at its disposal to break up planned, peaceful, demonstrations. 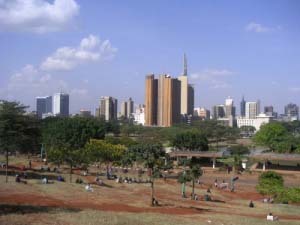 But there are reports of more sinister happenings inside and outside Nairobi, the nation’s capital. Reports are that political violence has become ethnic cleansing in the Kiberi and Mathare slums of Nairobi and in Rift Valley villages. The reports show Kikuyus, Luos, Luhyas and Kalenjins as the main instigators and victims. How could East Africa’s most stable, most democratic nation, a nation widely reputed to be East Africa’s fastest growing economy, descend so readily into chaos? The answer may be found in Kenya’s history and ethnic composition. Kenya’s population of approximately 36 million is divided among 40 ethnic groups. Among the largest are the Kikuyus at 22 per cent followed by the Luhyas 14 per cent, Luos 13 per cent, Kalenjins 12 per cent, and Kamba 11 per cent. Thirty five groups make up the remaining 25 per cent of the population. Government has been controlled consistently by the Kikuyus since independence with President Arap Moi , a Kalenjin, being the exception. This election was seen as a critical one by the ODM and its supporters (drawn largely from the Luos, Luyhas and Kalenjins), the objective being to unseat the Kikuyu administration and replace it with one more inclined to redress Kenya’s problems. Kenya’s problems are rooted in the era of British Colonial rule. The main one has to do with land. Both Kikuyu land in the Highlands and Kalenjin land in the Rift Valley was expropriated and given to white settlers thereby creating two displaced groups. Later after independence, instead of correcting this historical wrong, Kenyatta used the Rift Valley in the 1960s to reward his Kikuyu supporters thus establishing a Kikuyu stronghold in Kalenjin territory. The displaced have long wanted this matter settled and in the 90s, the Kalenjin tried to reclaim their land under the influence of President Arap Moi, who feared an election loss. This did not represent official redress however and this long standing desire to reclaim tribal lands may have led to a perception that Odinga intended to bring about this redress. Luos, Luhyas and Kalenjins are said to have thrown their support behind the ODM based on this perception. The Orange Movement advocated as part of its campaign platform the principle of Majimboism – Federalism, that is, decentralisation of power and wealth which was mistakenly interpreted by his supporters to be the redistribution of people. Reports are that people were being told even before the elections that they would have to leave the Rift Valley area and return to their own area when the opposition came into power. It is no wonder then that as election results were unveiled people began to initiate the changes they had anticipated. When Odinga declared that he felt the Orange Movement had won the elections, his supporters took to the streets. Their anger manifested itself against the ruling group the Kikuyus. Many turned against neighbours and friends setting fire to homes and market stalls. Some say that this had been previously planned some going even as far as to say that thugs were being paid as much as 7 Pounds Sterling to kill and half that sum to burn. 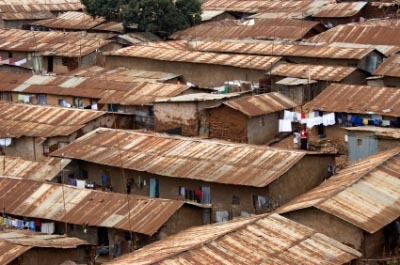 In Kieran, one of Nairobi’s slum areas, people were heard exclaiming that they couldn’t believe what their neighbours had done to them. The election results and the ethnic cleansing it generated had turned neighbour against neighbour and families against its members. It has brought international attention to Kenya as its donors and other supporters call for peace. Efforts are already being made to broker peace in the country. President of Ghana and head of the African Union John Kufour had intervened earlier. Now it is up to Former UN Secretary General Kofi Annan who began talks on Tuesday. It is hoped his efforts will bring about the kind of resolution that will prevent Kenya from becoming another Rwanda.